hd00:12BIETIGHEIM, GERMANY - JULY 21 2013: Sideways shot of a combine harvester harvesting wheat. The German wheat production exceeds 22 million tons per year. 4k00:09PANEVEZYS, LITHUANIA - OCTOBER 03, 2015: Peasant drive tractor in cabin plow agriculture stubble field in countryside on October 03, 2015 in Panevezys, Lithuania. Static shot. hd00:20closeup of hay bale and tractor baler discharge round fresh roll during agricultural harvesting in field circa June in Zibalai. 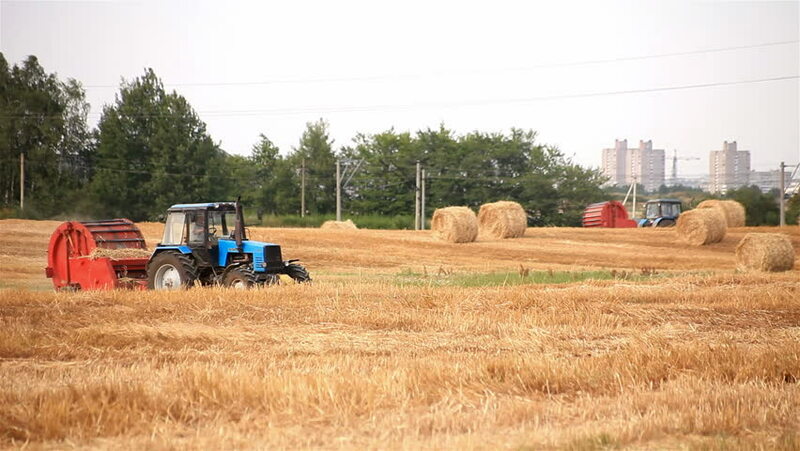 hd00:20LOMBARDY, COUNTRYSIDE NEAR MILAN,OCTOBER 2015: Agricultural machines harvesting rice. Rice is a typical product of the region since sixteen century. Rice is the base ingredient for Italian "Risotto".